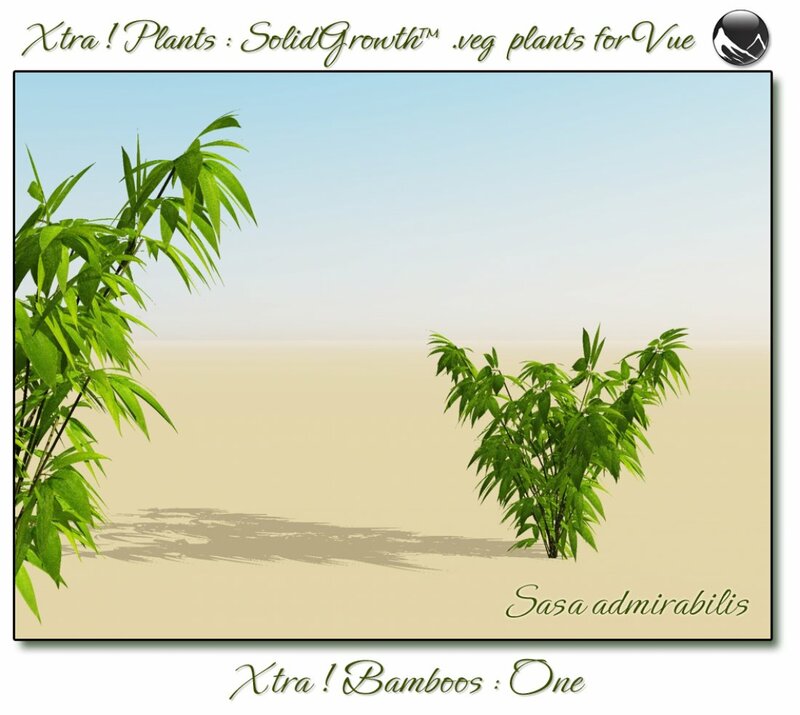 Xtra! 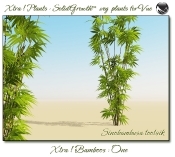 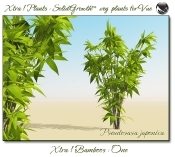 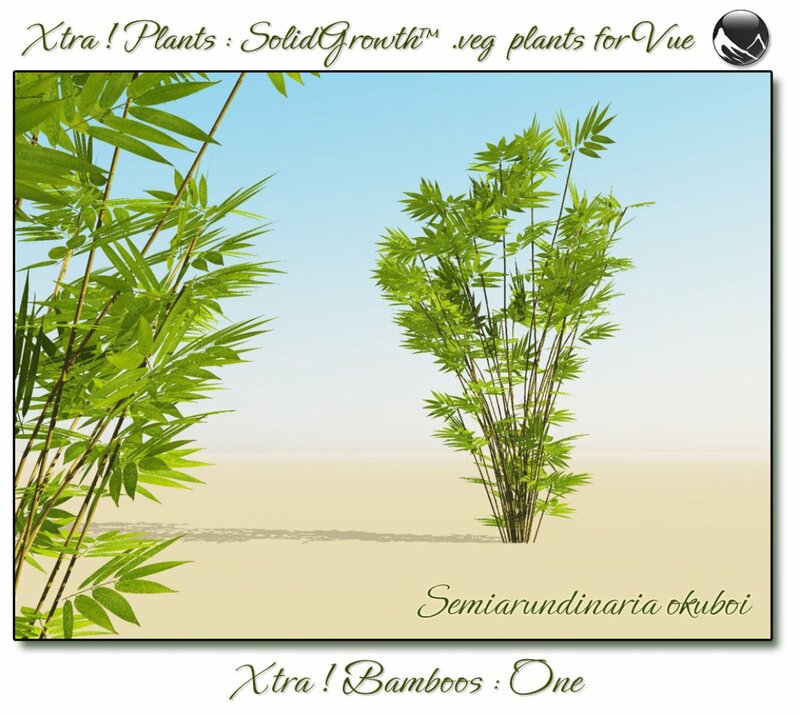 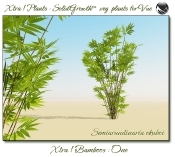 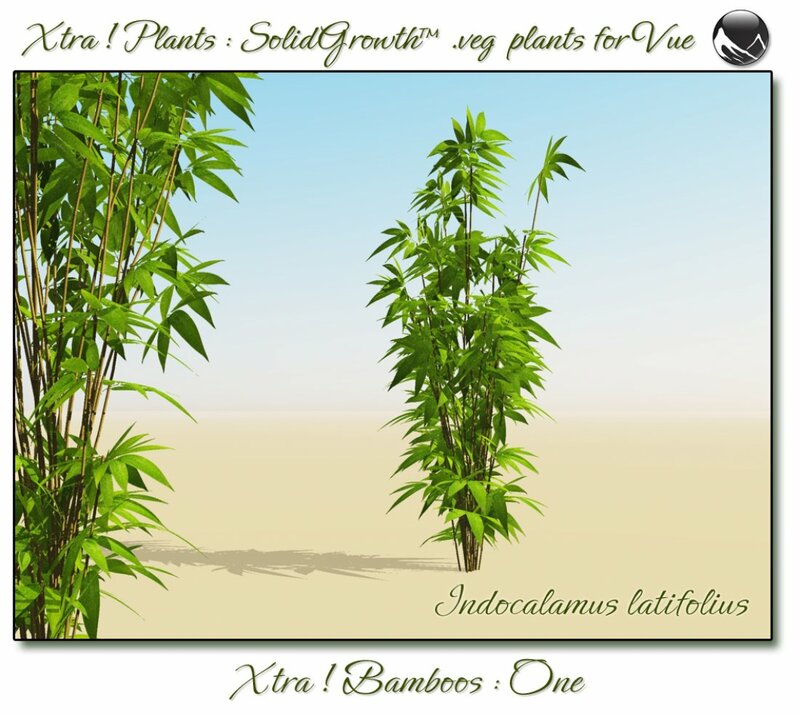 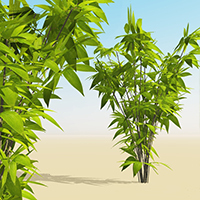 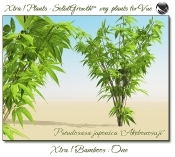 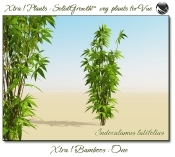 Bamboos : One – bundle of 8 SolidGrowth .veg plants for Vue | Alizea3D – the virtual tailor ! Even though it doesn’t look like it, bamboo is a grass. Bamboo is a member of the bambusoideae, a subfamily of the grasses , with over 1200 known varieties . These woody perennial evergreen plants are highly versatile and can be found in many ecosystems , from tropical to high altitude cold climates .Many of them are cold-hardy and will survive in almost any sun/shade environment except swampy areas . 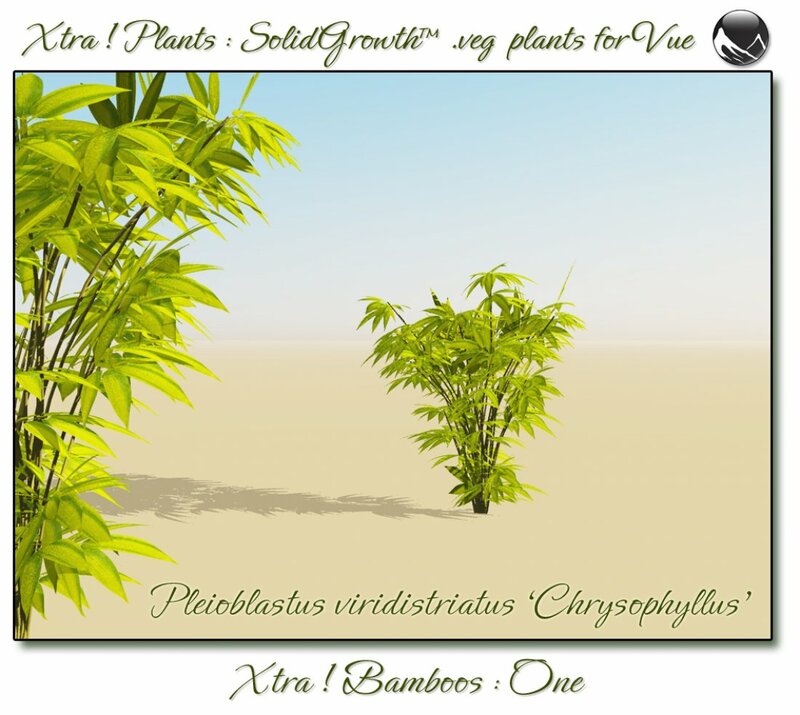 This bundle contains eight SolidGrowth™ modified plant species based on the Aucuba plant . 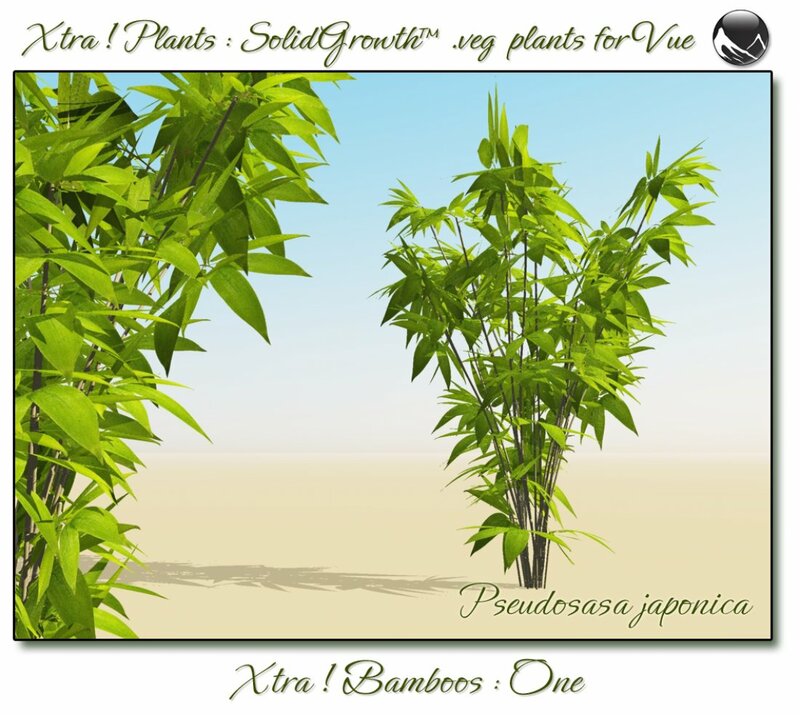 These beautiful bamboos were carefully created in order to obtain the best botanical accuracy possible and they are sized to real-world units . 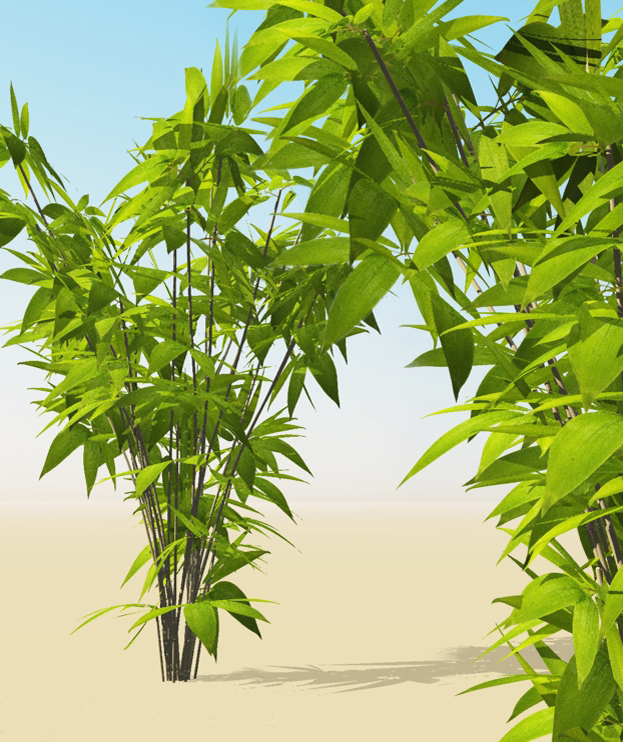 They are enhanced with hi-resolution textures and separate bump maps , all took from real photos . 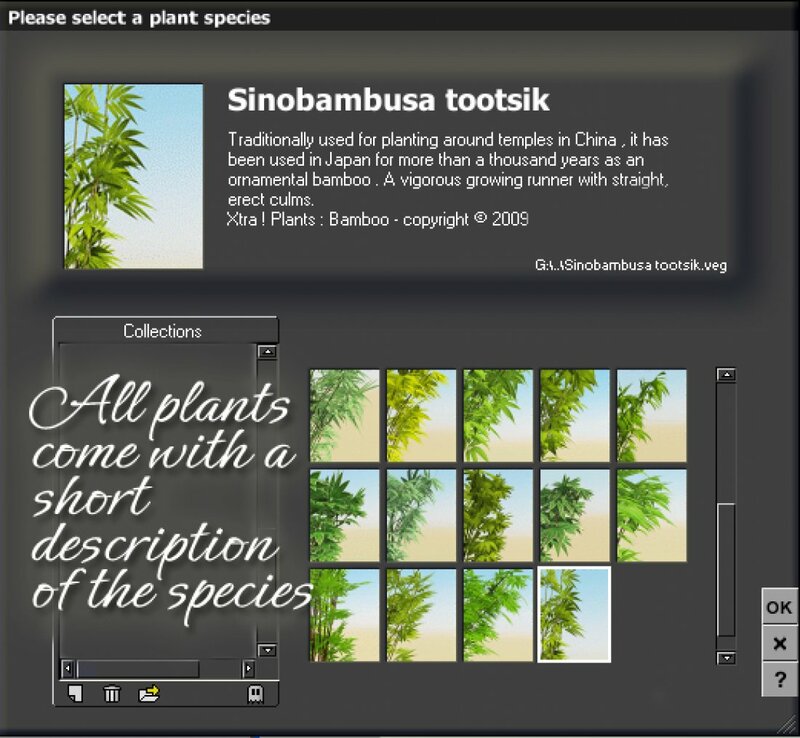 Also included in the pack are eight EcoSystem materials , one for each bamboo . 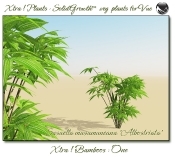 Note: You must have Aucuba plant installed on your system for these plants to work. This plant is included in Vue 7/8 Infinite , Vue 7/8 xStream and in the Official Plants Mega Bundle. 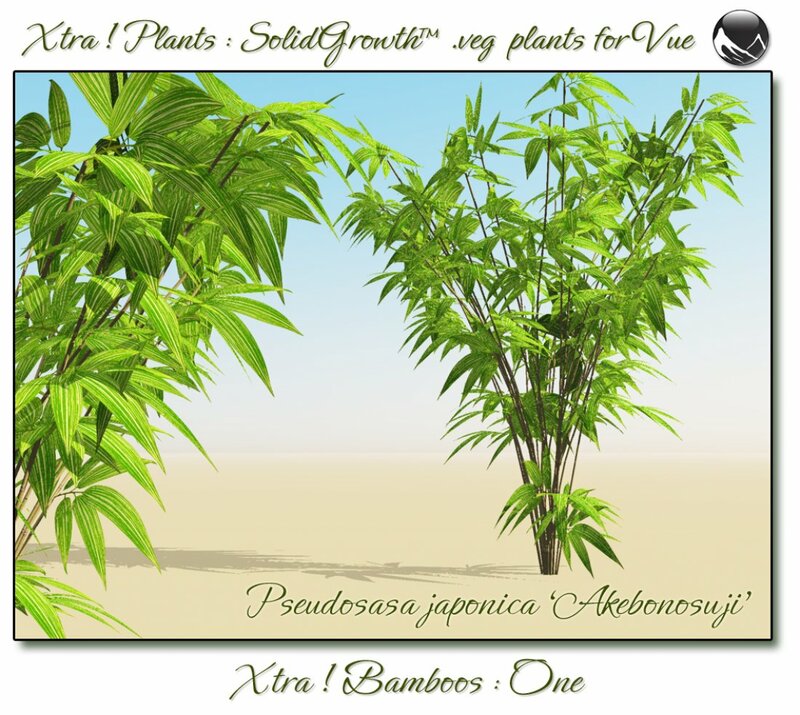 It is also available for individual sale at Cornucopia3D.